IT Issues Do Not Have To Be A Problem For Your Shop: Cloud-Based Software To The Rescue! Your shop has enough challenges on its plate without adding IT difficulties into the mix. You face steep competition from other manufacturers. There’s the ongoing challenge of finding and retaining skilled labor. Moreover, there’s the ever-present issue of meeting your customers’ quality and delivery expectations. Technology issues only compound those challenges. When your systems or software do not work, you cannot get the information you need to get your shop back on track and running smoothly. Additionally, you may not have the in-house support or knowledge you need to resolve the issue quickly. 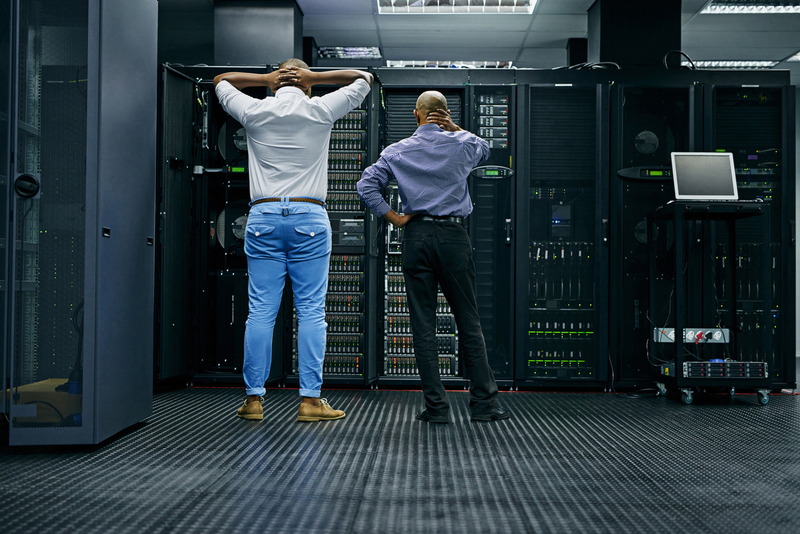 Even a simple IT issue could be enough to bring your shop to a standstill. The good news is that IT issues do not have to be a problem for your shop. You have options available. Perhaps one of the most efficient ways to eliminate IT problems and keep your shop running is to move your ERP system to the cloud. Cloud-based solutions are the latest innovation in ERP software. Many shops are transitioning their manufacturing systems to the cloud to take advantage of more favorable pricing, increased convenience, and enhanced security. Shoptech Software offers a high level of security through the Google Cloud Platform. Often IT issues are caused not by the software, but by the myriad of devices and components needed to support the system. A server could have an issue, slowing your system to a crawl. Your database might develop a bug, making your data inaccessible. The more hardware added into the mix, the greater the potential for issues. Cloud-based ERP only requires an internet connection. The software is hosted remotely, so you do not need servers, networking equipment, databases, or other hardware. That minimizes the potential for IT headaches and keeps your shop running like a well-oiled machine. Most cloud-based ERP systems come with support and maintenance included in the monthly cost. That is not usually the case with legacy, on-premise ERP systems, which may only offer support for an extra charge. With cloud-based ERP, you simply call the technical support desk when an ERP-related issue arises. They use their expert knowledge and experience to get the issue resolved quickly so your shop can get back to work. Ready to eliminate IT headaches in your shop? Contact us at Shoptech and learn how the E2 Shop System can help you create a more efficient, productive, and profitable shop. Our E2 Experts are available to show you a quick overview of our software!